Teach Laugh Plan: Giveaway, Big Brother, The Book Whisperer & Panic! Giveaway, Big Brother, The Book Whisperer & Panic! Learning Resources have given me another opportunity to review a product and give one away to one of my followers! I am so excited to introduce to you the hearAll Assessment Recorder! It does exactly what it says.... it hears all! 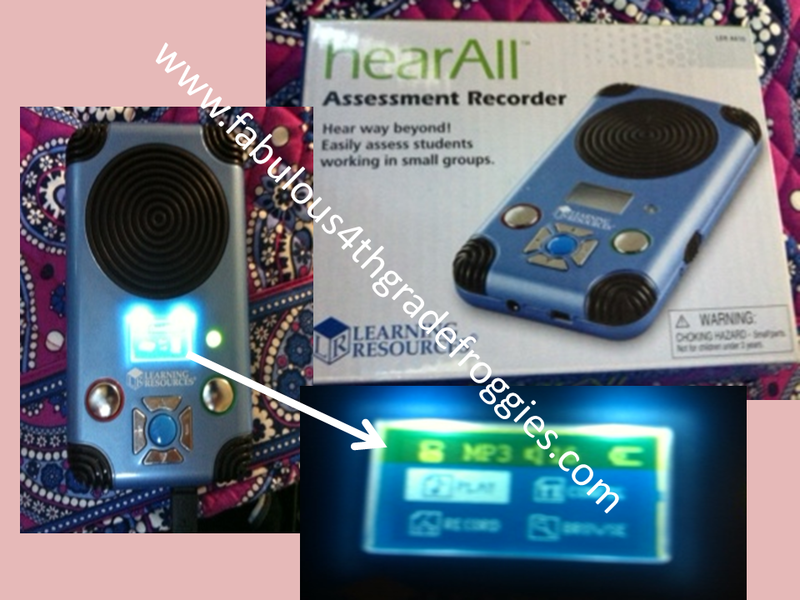 This little (about the size of an iPhone) tool has 4 microphones on each corner and can record small groups while you are working with another small group. Holy smokes folks, that is almost like having an assistant! OK, its nothing like having an assistant but its super duper cool nonetheless. It records several people at once and the recordings remain very clear. 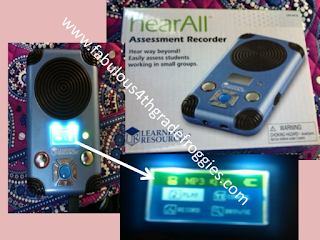 You can play back the recording, download and even share the recording with the parents or even the reading specialist. It even records for 4 hours! For your chance to win scroll down to the bottom of this post and enter. Now let's talk serious......who here watches Big Brother? O.M.G! Tonight the new season started!!!! I LOVE LOVE LOVE this show!!!! It pathetic but me and my family make sure that we make plans around the show. My hubby, my kids, and myself, sat in the den cheering on the contestants to victory! Who do you want to win? I'm about to start reading The Book Whisperer. I hear it's a good one! Have you read it yet? What are your thoughts on it? And now to the panic!!!! I was sitting at home today being lazy, watching tv, and doing some blog stalking. I happened to knock over my Erin Condren life planner and noticed I only have about 4 weeks before I start setting up my classroom again! How can that be when I haven't started doing anything I planned on doing this summer. I was going to DECLUTTER and get rid of anything I (or my family) haven't used in a year.... my darling smarty pants husband said if that was my plan I would have to throw out our stove! Hardy Har Har, he's soooooo funny (I say in my most sarcastic voice). I do admit we eat out a lot but I love to cook and that was something else I have plans for this summer.... cooking EVERY DAY!!!! I wanted to plan out meals and see if I try to cook on the weekends and freeze some meals to use during the week during the school year. I wanted to paint my kitchen and redo my bedroom. I wanted to go through my curriculum and plan out next year. Oh my gosh, the list can go on and on! What's a girl to do? I guess what I do every summer. Enjoy it so much that it passes me by so quickly and then I panic and do get anything done and say I will do it all on our winter break! LOL! Story of my life! The Book Whisperer is inspirational! I read it the summer before I started teaching 4th grade, and it totally changed the way I used my classroom library. Definitely recommended! I am so glad to hear its a good read! Can't wait to start! Hahahaha. Story of my life! I know what you mean...I will be back at work very soon! The summer has flown by! I love Big Brother too! My DVR was still set to record (from last season) when I checked it yesterday morning! yep I am in panic mode too. school closed right now due to floors being waxed to be opened on Monday-- and I will be at the beach! When I get back I have two weeks of PD training..... PANIC is right!! I LOVE the Book Whisperer! I think it should be required reading for every teacher who is stuck in A/R he**! I can't tell you how sad I am when my students, who were readers when I had them, end up hate reading in middle school because they are stuck in a level that's too hard for them or stressed out about getting enough points. I didn't read anything you wrote about BB because I haven't seen it yet! LOVE!! So excited its BB time and that my favorite player of all time is baaacck! I have read some of The Book Whisperer and I love it. I sooooo want one of those recorders, so pick me! pick me! (PLEASE!) My students come in 3 weeks! So I am really freaking out too. I will start in on school mode come Monday, and will hopefully be ready. Are we ever REALLY ready? I just ordered the Book Whisperer too. I have finished the 2 Daily 5 books because I am going to implement Daily 5 this year. I have read so much about Daily 5 and that the Book Whisperer added another dimension that now I have to read it. Summer is flying by- Since our school has summer school- we are only able to access our classrooms for 5 days before school starts- 7AM-2PM. I try not to think about that though. At my old school I was able to start setting up and preparing 3 weeks before school. I haven't watched BB since Rachel and Brendan- they were nauseating- but I did catch it last night and was happy to see that Mike Boogie is back- I did like him. I might watch it just because of him. 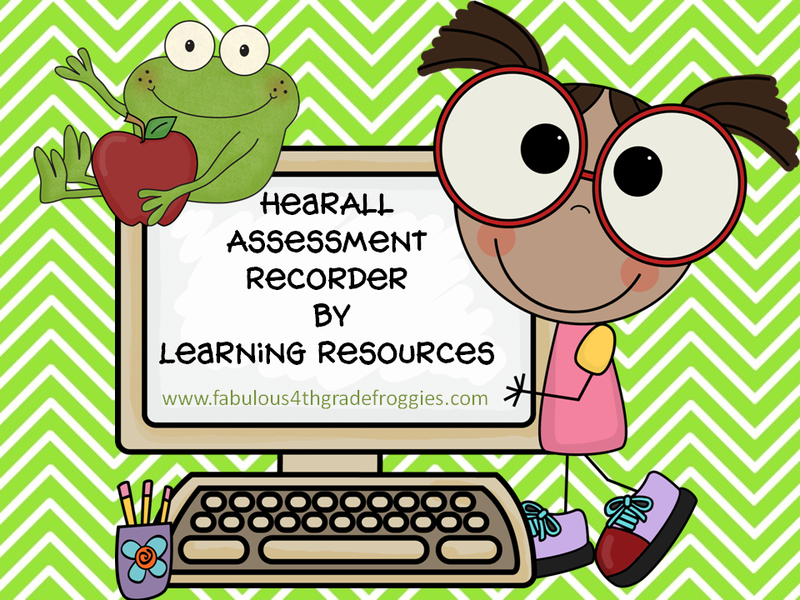 I have the Hear All recorder and I love it- it truly does keep small groups on task and the kids love doing fluency practice. It is great to be able to save the recordings on the computer to record student growth. Thank you for everything you share- you are terrific! 2. I think most teachers have big plans for the summer and they never seem to work out the way we plan! Just sit back and enjoy the rest of the time off because it will be over before you know it! I love The Book Whisperer. I've enjoyed posting about it this summer. And I love the hand sanitizer boys and girls bathroom passes. My kids put the passes on their desks too. I love the idea of changing my passes to sanitizer though. 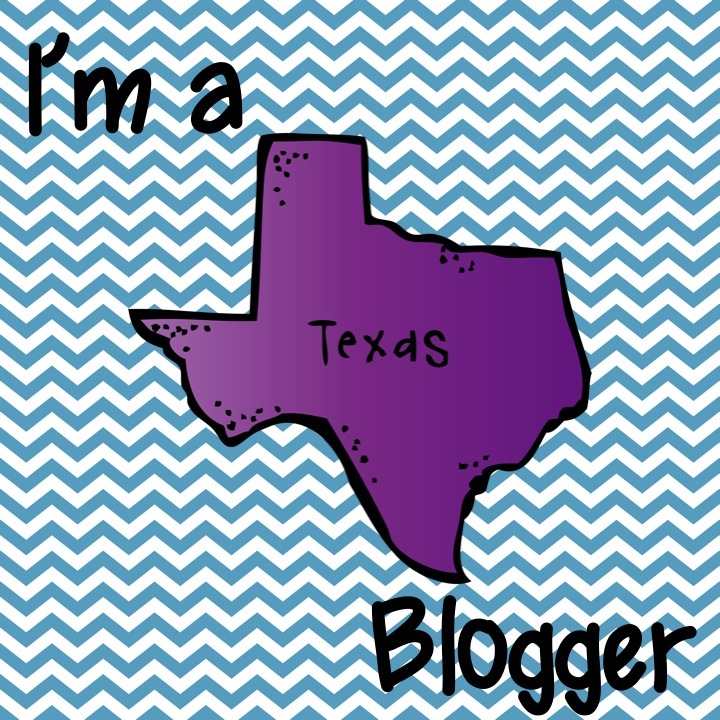 I am nominating you for the Versatile Blogger award!